I never thought in a million years that the moon would be visible during the day. I'm sure you didn't think that either. But as it appears, the moon does appear during the day and have become one of my favorite Astrophotography subjects. 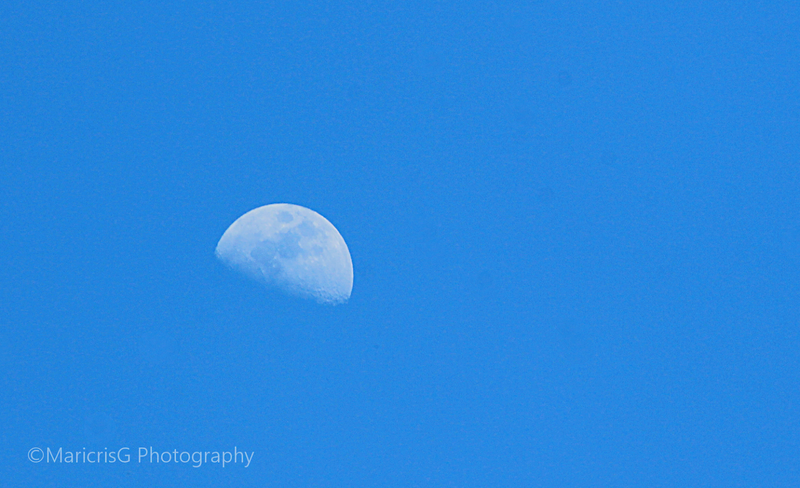 Like this day moon which I photographed yesterday above the blue skies and on a very sunny day! Day Moon occurs when the moon orbits closest around the sun. It is so close that it's reflecting more light from the sun making itself highly visible even during the day. Truly a magnificent sight to behold. Don't you agree?